Rimon School of Music supporters proudly see the impact of their gift through the shining output of our brilliant students; each selected to attend Rimon School of Music based on their demonstrated abilities and potential for personal and professional success. In the coming fiscal year, we invite you to partner with us on many exciting projects! Rimon School prides itself on providing the best possible professional environment to learn and create music. We seek ongoing capital support for infrastructure and facilities development. Your support helps us to improve and maintain our academic spaces and provide updated musical instruments, computer workstations, etc. 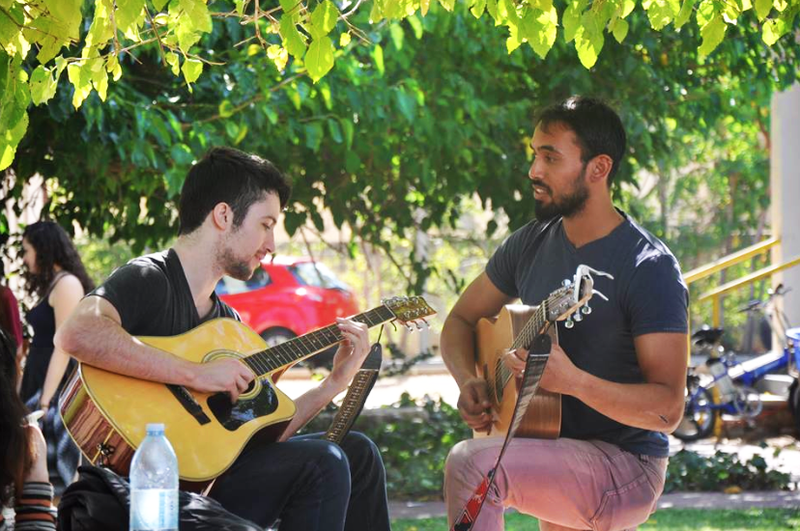 Rimon prides itself in attracting the best possible musical talent in its student body. We strive to increase scholarship offerings, which enable students to fully realize the dream of studying music, and to facilitate the financing of their studies. Rimon School of Music awards scholarships based on academic merit, community service, and economic need; providing an educational foundation that positions our students and alumni for professional success acting as stewards of community betterment. 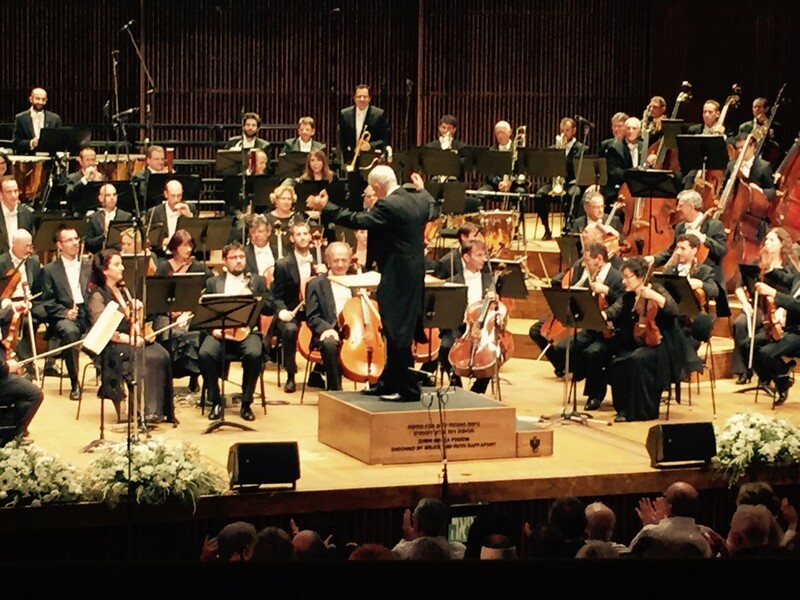 Over the years, Israel’s school system dramatically reduced access to quality music education. This program fills a gap. The goal is to help create a leveled curriculum from kindergarten through elementary school, junior high, and high school to foster and strengthen required musical skills of students in the education system. This program enhances music education in the school system while imparting the belief that music also changes the person positively, creates integration and dialogue, and helps students maximize their potential; particularly when music is introduced at a young age. to schools, which would encourage more schools to participate, and give us more interactive access to talented students; a mutual benefit. Another central objective is to empower youth at risk. 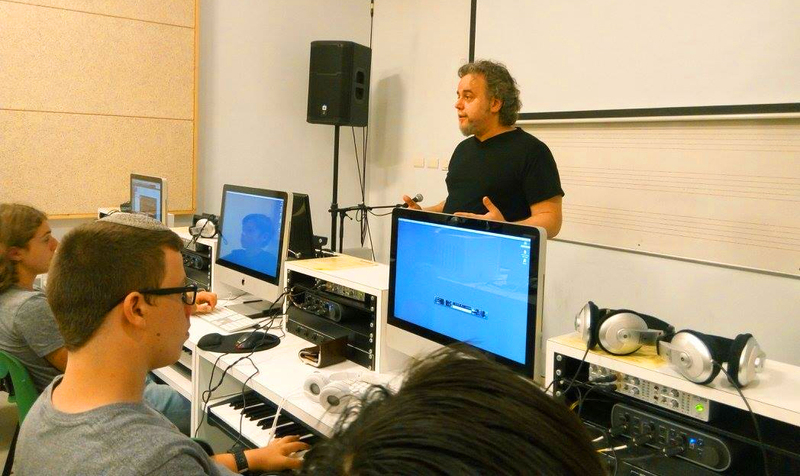 Endorsed by Israel’s Ministry of Education, Rimon School promotes professional and vocational training for music teachers and their students to help those students achieve academic success. Rimon designs customized music programs dedicated to serving high-school aged students in several cities and towns who are at risk in their personal and academic lives. Meeting them where they are and giving them both inspiration and structure through music education, this program gives students a meaningful experience that engages their passion for music as a vehicle for gaining valuable life skills. Students in these programs meet weekly. They learn commitment, collaboration, and teamwork as well as the discipline of study, rehearsal, and preparation required to succeed in musical pursuits. We provide as many opportunities as possible to help students gain personal, professional, and musical development. One special project that recently concluded was a master series on Rimon’s campus that served Jewish youth at risk from three cities and focused around religious melodies and songs from the traditions of the Sephardic-Mizrachi diaspora (music originating from the Jews of Spain and Portugal, the Middle East, and North Africa). This program was developed to teach students these pieces and helped them to create their own music inspired by them. The program was a pilot and we are in the evaluation phase about how we will present the program again in the coming year. Another project provides music education to Arab-Israeli youth from the village of Yarka The program for this school year just wrapped with a very successful and inspiring concert performed by the students and we look forward to welcoming our next group in the coming academic year. 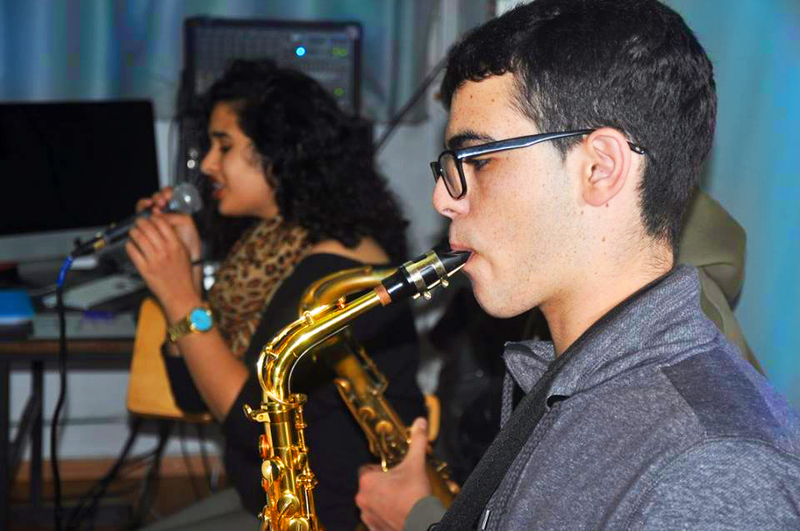 This program focuses on identifying the best student musicians throughout Israel’s high school system and developing their skills. Our unique afternoon program create unique, original musical compositions and help to prepare them as future students at Rimon. This program currently teaches students in Jazz from ages 15-18 and aspires to expand and offer a Rock/Pop module. includes on-site workshops and master classes, direct recruitment, ensemble opportunities, and more. We aim to increase the number and amount of scholarships we offer, to support these brilliant students as they continue their musical studies at Rimon. Rimon is advancing plans for a state-of-the art center for entrepreneurship and innovation. The center will encompass a multidisciplinary music technology lab and enhance partnerships with other schools and entrepreneurs. The lab will cultivate innovation ecosystems by leveraging students’ diverse skills, cultural lenses, and perspectives In partnership with Berklee’s Institute for Creative Entrepreneurship (BerkleeICE), our vision is to develop Pomegranate Innovation Labs at both Rimon in Israel and Berklee (via BerkleeICE) in the United States. In Tel Aviv, Rimon’s innovation lab will advance associations with leading universities, schools, and enterprises from Israel’s thriving startup community. Simultaneously, Berklee will seek to expound upon existing BerkleeICE partnerships with MIT Engineering, Harvard Law School, and Brown University. The exchange will enable technological gateways and provide Rimon projects with access to international mentorship and expert consult while prospecting contacts among key strategic partners within the global music industry. 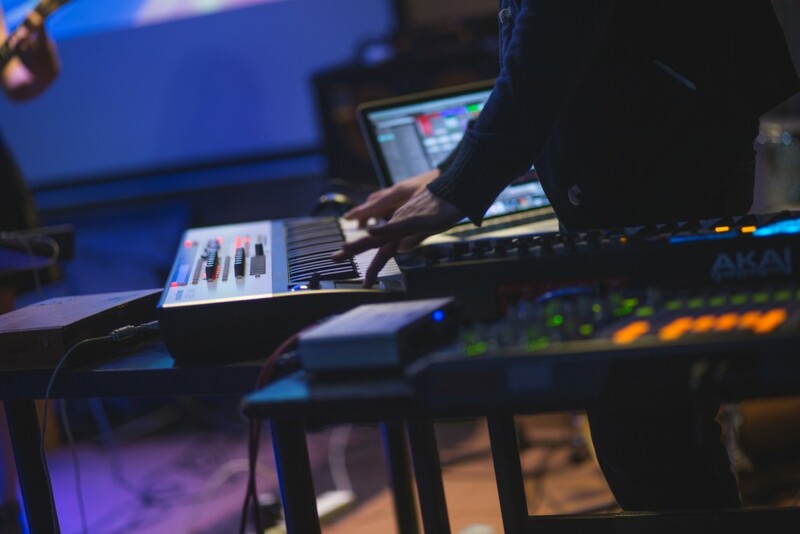 The lab at Rimon will focus on concepts that are creating value in multifaceted music technology fields. Students from Rimon participate on a regular basis to work with people experiencing emotional, psychological, and expressive difficulties. Our students collaborate with many individuals in various support programs to help create songs and musical arrangements that share the words, feelings, ideas, and more of these members of the community. We produce annual public performances to showcase the collaborative musical pieces composed between patients and students during the course of the year. Patients with musical abilities perform with our students as part of the program. We have worked in the past with Enosh mental health care day facility and presently partner with Chiram; a long-term rehabilitation facility in Kibbutz Harduf. This year, we will continue to offer weekly music workshops for students on the autism spectrum, and to provide them with meaningful musical tools of expression. On Fridays each week throughout the school year, our students and faculty also work with groups of teenagers on the Autism spectrum. One group of five to seven students comes to Rimon each week and another program serves 40 to 50 students in Haifa. Rimon students and faculty design and lead activities that help those students build expressivity and communication through music. This program was generously underwritten by 2016 Genesis Prize honoree Izhak Perlman, who designated his award to fund a select number of programs focusing around serving people with disabilities through music. Our students and faculty also work closely with the families of IDF soldiers lost in combat. They listen to the stories of the families and collaborate with them to create songs that honor the memory of their soldiers who were lost in the protection and defense of Israel. This program was recently the subject of a powerful documentary on Israeli television that followed participants through this emotional and creative process. We recently held a culminating performance of the songs that Rimon students composed with families. Rimon offers experiential learning through orchestras, ensembles, and production-based programming. We represent Israel abroad and showcase Israeli culture in the international arena. Programs led by Yaron Gottfried, Musical Director of Rimon’s Composition, Arranging, and Conducting major, which builds connection between up and coming Rimon student composers and a variety of orchestras, ensembles, and music performance organizations in Israel. Development of performance and internship programs for vocalists, songwriters, and student music producers.